Cork floors are a great alternative to traditional wood floor or ceramics tiles. Have a great and natural designs and furthemore is extremly resistant to water, friction and impacts with easy to maintain. The exceptional properties of the tiles provide your home a warm and relaxing atmosphere. They provide a very comfortable footfall and quiet thanks to the natural properties of cork sound insulation. In our store has available an extensive catalog of products like cork floating floor, cork floating floor , acoustic insulation cork , acoustic insulation cork , cork, self-adhesive cork , cork yoga blocks , fine cork sheets , cork for boat decking and among others. 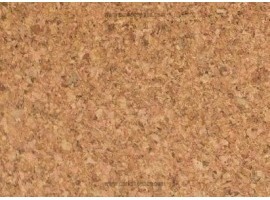 If you have any queries about cork floating floor we advise you to contact us so we can help you personally. Corkshopbcn team have an extensive experience in the manufacture of cork products with over 50 years. This knowledge allow us to offer the highest quality products like cork floating floor and increased efficiency in customer care. Cork floating There are 6 products. Cork Glue-Down Parquet Tiles "Midnight"